Here at Hampton's Chem-Dry, we proudly offer professional carpet cleaning and upholstery cleaning in Hannibal, Quincy and the surrounding area. We serve our community every day by helping our customers maintain a clean, healthy, happy home. Our proprietary carpet and upholstery cleaning process uses carbonation that better extracts dirt, dust, and allergens while using 80% less water than traditional steam cleaning. 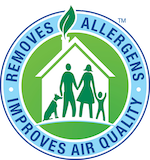 Our cleaning process combined with our non-toxic, green-certified solution means that we'll leave your home not only cleaner but safer and healthier, too. Our professionally-trained technicians here at Hampton's Chem-Dry are dedicated to providing an outstanding cleaning experience and will treat your home and family with the respect you deserve. Get a Quote Today for Carpet or Upholstery Cleaning! 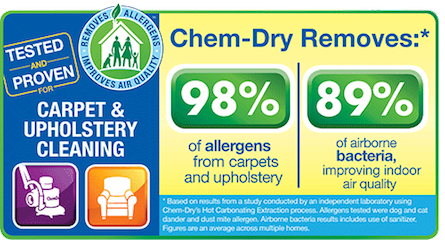 Let Hampton's Chem-Dry make your home healthier. Click below and fill out our contact form to schedule an appointment. Hampton's Chem-Dry’s cleaning process is better and healthier than other methods for your carpet and upholstery cleaning. Hampton's Chem-Dry’s unique hot carbonating extraction carpet cleaning method uses the power of carbonation to extract more dirt and grime from your carpets, giving them a deeper and longer lasting clean. Our carbonated cleaning solution only requires us to use a fraction of the moisture other methods such as steam cleaning require. This allows your carpets to dry faster, typically in 1-2 hours. We provide professional carpet and upholstery cleaning in everyone in Marion County, Lewis County, Ralls County and Pike County, Missouri; and Adams County, Pike County, and Brown County, Illinois.